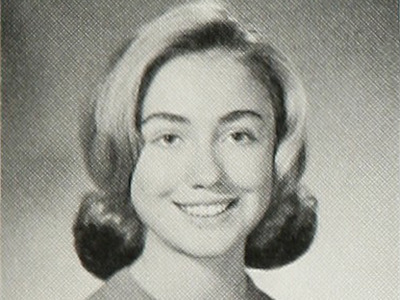 Anita Rifkind wrote a note to her well-known high school classmate Hillary Clinton right after her husband, Bill, was elected president in 1992. Last week, it became clearer than ever before that Rifkind’s note could prove to be more than witty prose. Clinton, in her second attempt at the presidency, became the presumptive Democratic nominee after resounding wins in California and New Jersey, among other states, to close out the primary season. In the process, she became the first woman to ever clinch a major party’s presidential nomination — a feat that less than half registered voters consider historic, according to a recent Morning Consult poll. But for some who have known Clinton the longest — classmates of Clinton in high school, members of the first graduating class of Maine South High School in Park Ridge, Illinois, back in 1965 — the moment wasn’t just historic. It was powerful. Rifkind, who first met Clinton in junior high, said she was “thrilled” by Clinton outlasting Sen. Bernie Sanders and securing the Democratic nomination. She told Business Insider that she felt Clinton “should have gotten it” over then-Illinois Sen. Barack Obama in 2008, when she first ran. Admittedly not a close friend of Clinton’s, Rifkind called herself a “D-list” connection. “She was much more popular than I was,” she said, adding that the general public isn’t getting the proper perception of her classmate. Behind presumptive Republican nominee Donald Trump, Clinton is the least favourably viewed nominee in recent electoral history. 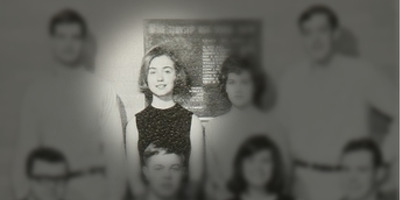 Harbour, meanwhile, called Clinton “extremely well-liked.” She said she knew Clinton mostly through classes and their work on student council, in which Clinton was heavily involved. More recently, Clinton wrote the forward for Harbour’s book on becoming a grandparent, “It’s Good to be Grand,” soon after Chelsea Clinton became pregnant with her first child in 2014. Clinton’s high-school classmates, like the electorate at large, appear to exhibit a mix of jubilation — shown by Rifkind and Harbour — and being apathetic or unenthused about the choice between Clinton and Trump. John Apolinski, who said he did not know Clinton well, simply said “I plan on voting” when asked who he was supporting in the fall. “We’ll see what develops in the next few months,” he said. But Apolinski acknowledged the gravity of being classmates of the first woman to clinch a major party’s presidential bid.